The NWABBA has for 70 years represented bands in the North West of England and surrounding areas. Our member bands come from Cheshire, Derbyshire, Greater Manchester, Lancashire, Staffordshire, Yorkshire, North Wales and the Isle of Man. 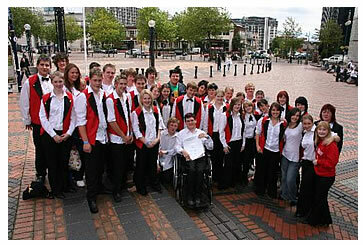 Our involvement in contest organisation is well known, however, we aim to provide an all round service to our bands. The Association has an Executive Committee which is responsible for the running of the NWABBA. All enquiries should be made through the General Secretary. We are members of, and proud to support, Brass Bands England. Some of our Committee members serve on the North West Regional Championships Committee and report back to us regularly. We welcome any queries which we can take up from our bands.